Mobility has taken the world economy by storm and every business in order to leverage its reach, engagement and conversion potential is investing in mobile app development. Being a real estate agent wondering how a mobile app can help you? Here are top 7 benefits of real estate mobile app development. Mobile-based home or property search is on the rise. 58% of Millennials and 46% Generation X found their home on a mobile device according to National Association of Realtors. Hence, with a real estate mobile app, you can extend your market, help buyers and sellers to connect with you and drive ROI significantly. However, it doesn’t mean that you should ignore the web-based market, as it still entertains 33% of younger Boomers and 10% of older Boomers. With a real estate mobile app integrated with MLS, make your real estate listings more relevant to what users are looking for. As MLS helps users to take a deep dive into the market with more choices from listings created by an unlimited number of sellers and agents, the app pushes healthy engagement and conversion. In case if a user is interested in a listing created by some other agent, you can contact them to help the buyers and, in lieu, can have a share in the commision earned by the listing owner. Connecting your buyers and sellers on a mobile platform pushes better and faster decision making. Buyers have quick access to what they are looking for - from listings to market trends, and sellers get access to information of buyers who are interested in their listings. 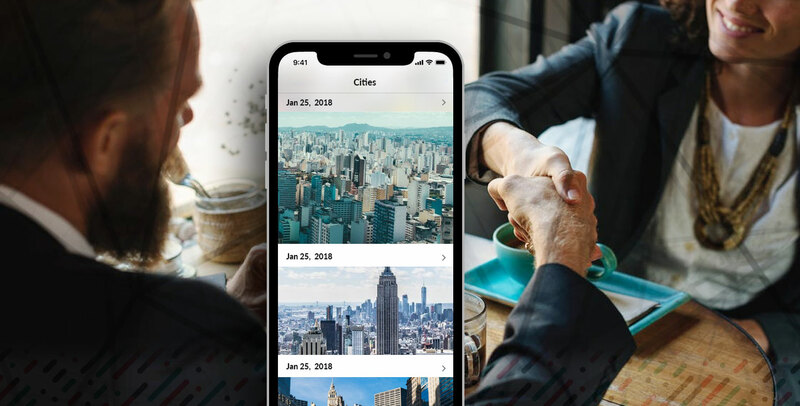 Guide your real estate mobile app developer to integrate your app with push notification, Google Maps, mortgage calculator and other vital information to drive user-engagement. If your website shares the content of your app, use web markup as recommended by Apple to make your app appear in the web-based search results across Safari and Spotlight. Your iOS developer should not know what it takes to make the content crawled by the Applebot. Once, the content is crawled, a database gets created on Apple’s server, and the same is made available against their search terms. With a real estate mobile app, you can seek a recommendation for your brand. Include Firebase Dynamic Links or any other similar feature in your app that makes a recommendation and link sharing easier. Users can share the link to your app and suggest recipients download it. When you invest you in your business, you must measure the customer satisfaction and loyalty. Integrate your app with a Net Promoter Score (NPS) or similar tool that gauges the user’s sentiment regarding your app or business. NPS is a one to ten scales, where users just need to express their take as to how likely they are to recommend your app/business to others. This is one of the key actionable insights that reflect whether you are on the right track. Maintaining a sound brand reputation is not just limited to your earning and net revenue instead it extends beyond. Having an impressive mobile app is an innate part of that extension. With consumers becoming mobile and app savvy, it’s important to match their interests and preferences.